The Model 4100 WTP is available in widths of 25' to 60' (7.3 m to 15.9 m). The vertically folding wings make it easy to put the unit into and out of transport. The 1-3/4" (44 mm) packer coils pass over obstacles with ease. The 4100 Wing Type Packer allows you to make regular head-land turns. The individual coils are allowed to pivot from side to side allowing each packer to follow the contour of the land. Each packer pivot is equipped with Nylatron® bushings for long service life without need for greasing. Optional Track Eliminators break up the tire tracks to prevent uneven germination in wet conditions. 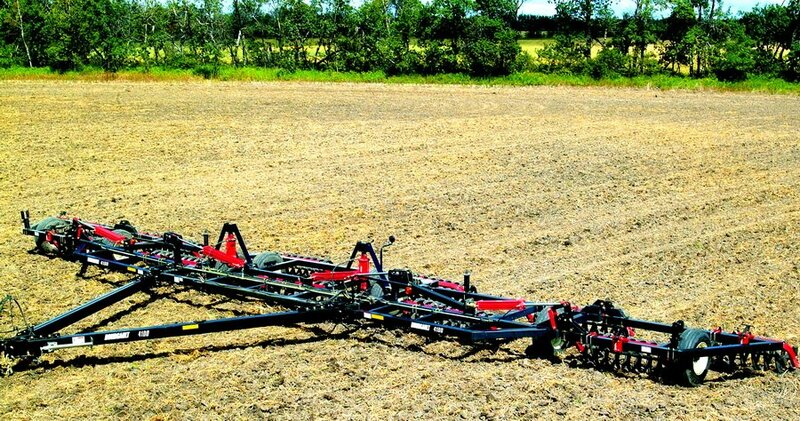 The Optional Hitch Extension provides clearance for use directly behind the cultivator.